650% Investment Returns – todaysbestinvestments.com – Invest In Alternative Investments. Huge Profits. Free Top-Pick Guide! Put in terms that are easy (if horrifying) to visualize, Skeptical Science explains that the oceans used to be warming at a rate equivalent to about 2 Hiroshima bombs per second. Over the past 16 years, that’s doubled to a rate of 4 bombs per second. 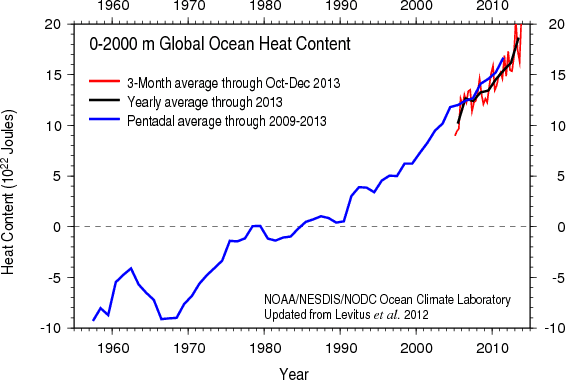 But in 2013, the warming became so dramatic that it was equivalent to 12 Hiroshima bombs every second. Seriously. When you hear climate skeptics talking about a “pause” in global warming, that’s where the heat is going — 378 million atomic bombs worth of it each year. And as Quartz points out, it’s not like the oceans are just storing all that heat for us and protecting us from the effects of climate change: warmer oceans mean more severe typhoons and hurricanes, rising sea levels and damage to marine life.